I've pretty much been the Mayor of Stress-ville lately so have been on a hunt for relaxing, soothing bath and body products to try and force myself to unwind in the evenings. In stressful times it's all well and good to say that you should look at the root of the problem and adjust accordingly but sometimes you just want a quick fix to take your mind off things while you continue to make self-destructive life choices! 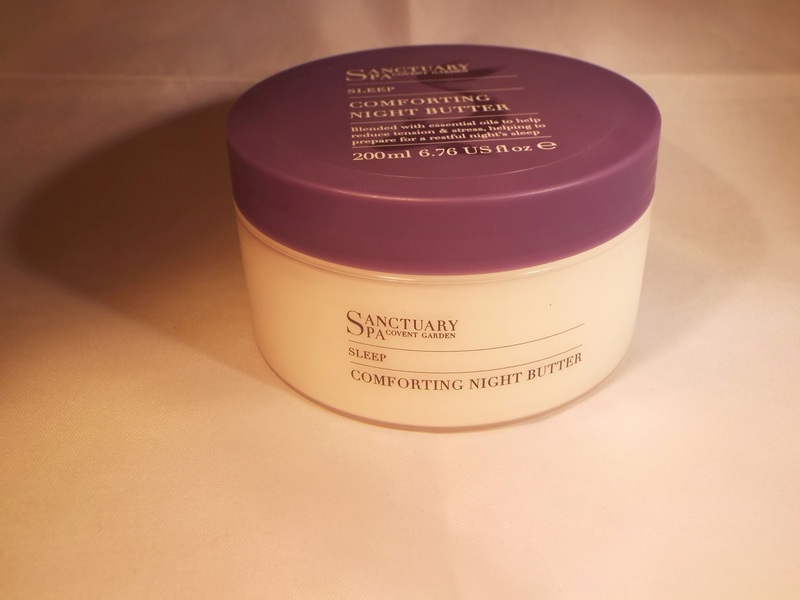 The newest addition to my growing collection of stress-less bits and pieces is the Sleep Comforting Night Butter by Sanctuary. This majestic purple lidded tub contains 200ml of pure unadulterated bliss that's ideal for stashing in your bathroom or bedroom and being put to good use after a nice soak. 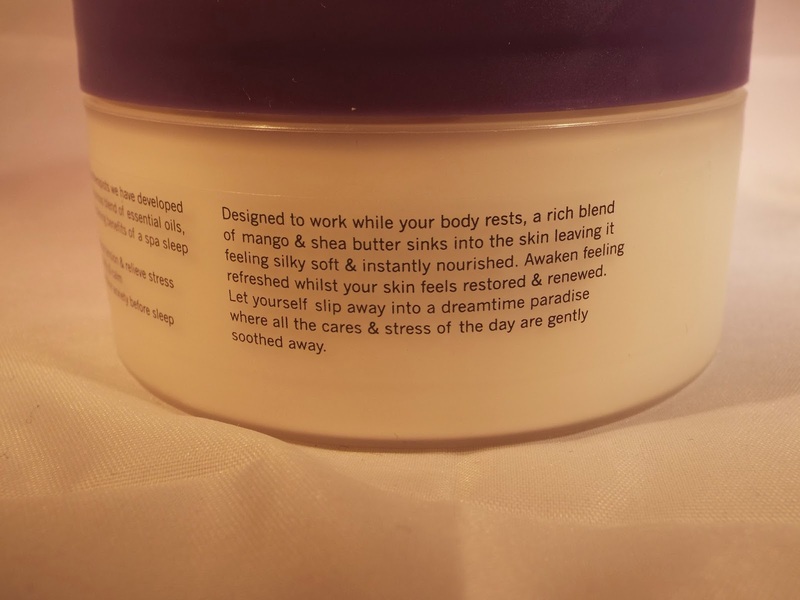 The formula is proper, thick creamy body butter that's perfect for this moisture-sapping weather that is upon us and the best part is that is actually sinks in! I slathered myself up good with this in between Masterchef Australia and bed last night and awoke with not a sign of grease. It's a revelation I tell you. Onto the fragrance, this Night Butter smells glorious. It's packed with sleep encouraging essential oils including ylang ylang, frankincense and patchouli blended up nicely with apricot kernel oil and mango seed and shea butters, so it smells nothing short of dreamy, which is appropriate since it's designed to use at night and all. 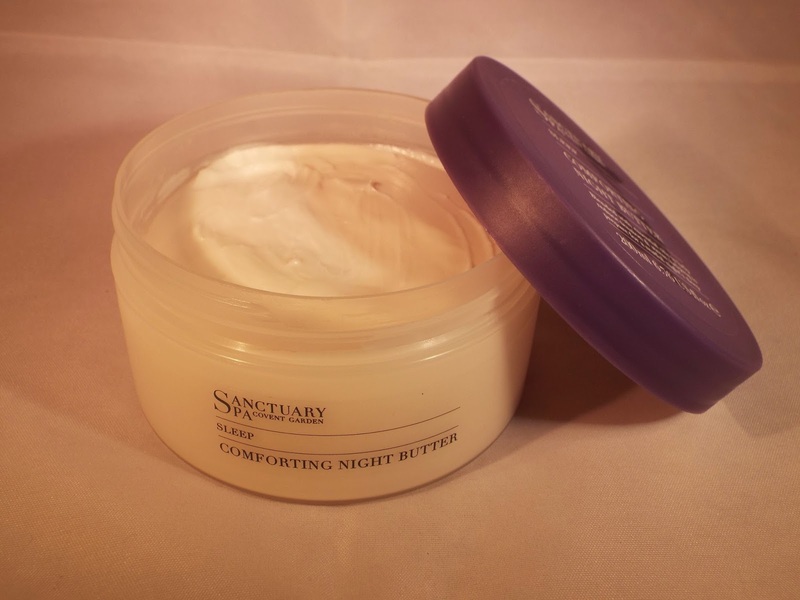 Sanctuary Sleep Comforting Night Butter £9.50 at Boots and is currently included in a 3 for 2 offer. Get it.